Discussion in 'Headphone Amplifiers and Combo (DAC/Amp) Units' started by purr1n, Dec 2, 2016. To tell you the truth I am almost made for Mr. Freid's stuff. Too much treble energy and forwardness for my tastes and headphones. Just go for a DNA amp and be done with it. m17xr2b, ColtMrFire, sheldaze and 1 other person like this. I will certainly do but after I win the lottery! Don’t over think this. Get the Lyr3. You’ll be fine. I can guaran-f**king-ty you, you won’t find the treble offensive. And it performs admirably overall as well, for a $500 amp. Sure it won’t bring the best out of the HD800 like the big boy tube amps or the unicorns like the EC BW2, EC S7, MD ZDT Jr or DNA Sonett 2. But it’s still good enough. There are a couple BW2s, Sonnett2s and ZDT Jrs in the Europe continent and one of these should turn up on the used market, sooner or later. Until then take full advantage of the Lyr3. Breaking your head about what amp to buy is not fun. You’d just keep going round in circles. obsiCO, Lyer25, Ash1412 and 9 others like this. I am seriously thinking about RS08 or if i can stress it and find a deal for a V280. sheldaze, EagleWings, Sonorus and 1 other person like this. Consider Meier Audio. Good sounding amps for much less. German too. numbercube and westermac like this. Yes Mr. Meier is a very good engineer. There are a couple BW2s, Sonnett2s and ZDT Jrs in the Europe continent and one of these should turn up on the used market, sooner or later. They do turn up. Managed to buy a BW2 (230V) recently from Germany (turned out from a SBAF member) and consequently sold my Laconic NBM (ZDT Jr) (turned out to another SBAF member) . The BW2 is amazing with the Senns. Switching between the Apex Teton and the BW2 doesn't feel like I'm missing out too much, more like 2 different flavors . The BW2 is warm, slightly bloomy but not hazy, just enough to add some depth and sense of space between the instruments , resolving but not grating or glaring, decent transients. It's not dull or flat ,but musical and involving. How come it's solid state? Headphones: HD650 / HD580 / ZMF Atticus Zebra Wood. Ringingears, Priidik and EagleWings like this. Talking about the Sonett 2, why isn't anybody else doing output-tube-less amps with low gain but way less heat while not using feedback and being class A (dunno if straight-to-transformer even counts as output stage)? 2x seems perfectly fine for most dynamic headphones. For some reason, they don't sell. There was an EC HD300 amp, 6SN7+6080 OTL. It didn't sell. It sold so poorly that no one even knows about it, even though it was priced $600 or something ridiculous. There is currently the Feliks Elise. Wolf Ear Audio makes OTL. As does Atma-Sphere UV-1. If I knew about this, I'd have bought one. Hell, I'd buy one right now. Did this ever get listed on to the EC website? Thenewerguy009, Jinxy245, Mdkaler and 1 other person like this. That's off the HF market listing yeah? That's just about the only place you can even dig anything about the amp up online. Selling for $700 used back in 2007 alongside a fair few nice tubes... god flipping dammit I wasn't even into audio gear back then but I'm kicking myself for not knowing about this, how's that work. @purr1n if EC can make something similar (accounting for inflation, BoM, and all that jazz) I think this would be great for loads of people in cheapskate amp purgatory (cough). Feliks Euforia looks grand but the sudden price bump kinda caught a lot of people off guard. There was also the Super 7. $1500. @Hands and a few others have one. Stupid great deal. It didn't sell. Maybe Massdrop these amps? Craig doesn't care about ownership. He likes getting bored and making new designs. Captainsubtext, obsiCO, Ash1412 and 11 others like this. If he does a Massdrop X EC X HD 30X, I'll be the first one to order it. Especially at sub $500-ish? Hell yeah. If you look at the total cost of a BH Crack (woodworking materials, build time, Alps pot upgrade, etc) then the EC HD300 is a no brainer. Edit - the Super7 didn't really appeal to me. Tube rolling a single or dual 6sn7 is one thing. 7 of them? Nervosa head explosion. Ash1412, JK47, Jinxy245 and 6 others like this. 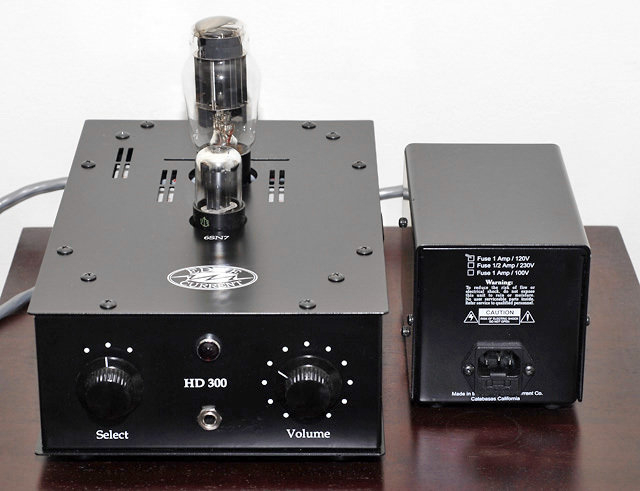 A $1200 tube amp would be sweet. I don't want to start false theories, but for a ~$1200 amp, I wonder if a single chassis design might be more appealing for potential buyers. While I don't mind dual chassis now, at one point, I used to be put-off by dual chassis due to space constraints and ungrounded paranoia. Another option is finding a used HDVA 600. Just don't pay the asking prices, they sell for as little as $600 and at that price they're damn hard to beat. No chance at all I'm selling mine though.